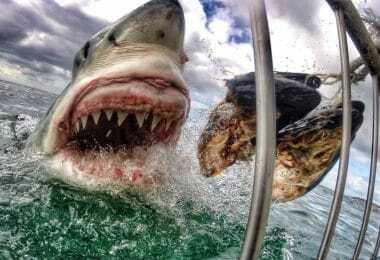 You may think of mastering survival as being prepared for any situation, but there are times when you just won’t have all the things you truly need. It’s at this point that you must rely on emergency kits to provide those last reserves. As you probably know, survival blankets fall into this category and can be the last defence against the elements when all seems bleak. But, how to choose the best survival blanket out there? Whether you’re a camper, hiker, runner or hunter, you will find that a survival blanket can come in handy for more than just a few things. 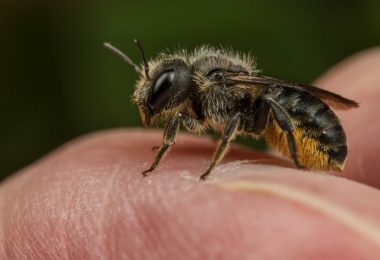 While they are praised for their ability to keep body heat in, they are often used just as well to keep you cool. They are generally waterproof, lightweight and reflective, so it’s easy to get creative with how to use them for more than just warmth. 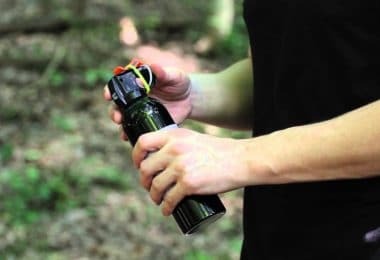 Although there are many choices out there, it is essential to have one in your survival kit. They are the go to item for hypothermic shock prevention and emergency warmth when you have no other resources. So which is the best survival blanket, the most affordable, the most durable? Survival blankets come in more than one material: aluminized mylar, aluminized tarp, wool, and polar fleece. 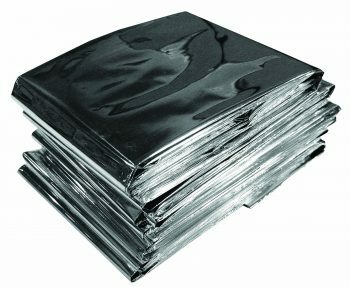 Mylar is a tough plastic, and for emergency blanket it is coated with aluminum. This is the lightest and least expensive option, and it does its job. However, it rips easily and doesn’t easily conform to your body, so cold air might get under. 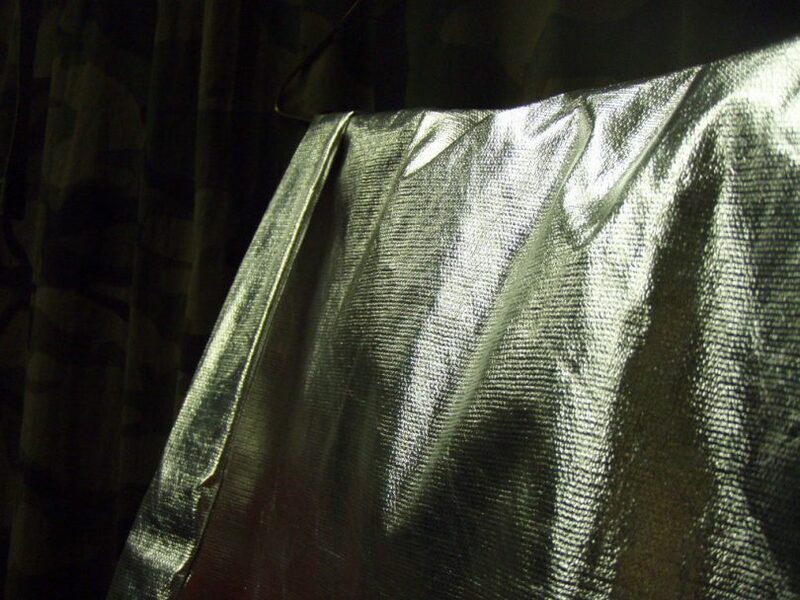 Aluminized tarp performs similarly to the mylar in terms of body heating efficiency. It is however heavier, but it is stronger, and you can also use it as a regular tarp. It is also flameable, so careful around fires! Wool is fire resistant, breathable and warm, but blankets are heavier and bulky. Also, quality wool blankets are more expensive. Polar fleece is the best option of all mentioned above – it is warmer, lighter, and less bulky than wool. It can come with reflective layer, but also with waterproof and wind resistant materials. The main purpose of these blankets is to prevent hypothermic shock or death by hypothermia. This is extremely important for if you become stranded somewhere on a cold night without the proper attire. Imagine your car breaks down in a snowstorm; an emergency blanket may be all you have for extra heat, it’ll keep you warm and comfortable, and it might just save your life. The parts of your skin that are touching the blanket will begin conducting heat almost immediately. In this regard, make sure you are aware of how hypothermia takes hold. You don’t want to sweat too much in one of these blankets. They are made so that they don’t breathe. Some types of survival blankets are more suited for your car’s first aid kit or for shoving in the bottom of a backpack, than they are for longer camping or backpacking trips. These are generally the blankets that come in large packs, are fairly thin and rip easily. They’re typically intended for warming someone up in an emergency situation, and can be quite loud if you try to sleep in one. The other type act more like heavy duty tarps. These blankets are usually more durable, thicker, aren’t always so hard on the eyes, a little quieter, and some even have reinforced grommets so you can tie them down or to a tent or car. The more heavy duty blankets are suitable for a whole range of uses and are far longer lasting. As such, they may be more expensive. If you plan to use it on a lot of camping trips however, it’s a long lasting and worthwhile investment. Tent; another excellent space saver, and useful in an emergency. A large blanket with grommets can easily be pitched as a tent. Packs of multiple blankets are great if you are more concerned about emergency situations than you are with camping. These blankets are generally better for one-time use and are great to have stashed in the back of the car. 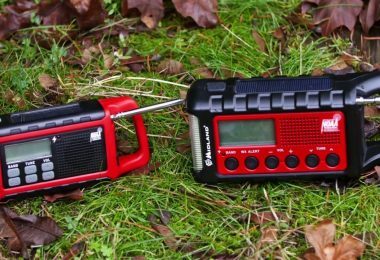 However, if you are looking for something to use while camping, it is better to have something that can hold up to weather and hard use without fear of ripping. Multipacks are great, as best practice is to use two blankets per person, one to sit on, and one to wrap around the body. Now that you have a better idea of what to look out for, let’s take a look at some of the best survival blankets on the market at the moment. Now let’s dig in between the best products today’s market has to offer when it comes to survival blankets. 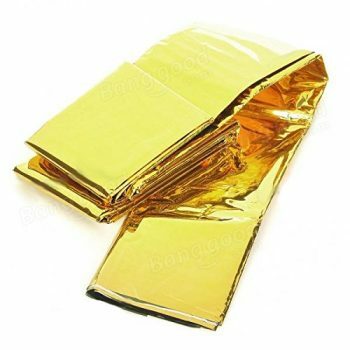 Description: Mylar Men’s Emergency Thermal Blankets are your typical, but highly useful mylar emergency blankets. They are shiny, silver, crinkly, loud, and could potentially save your life. This isn’t what you want if you’re looking for something for long time use, but they will absolutely get the job done if used properly. They will rip and begin to wear through after only a short time, but if you are using them as true emergency blankets and not as a camping blanket then you should have no problem at all. 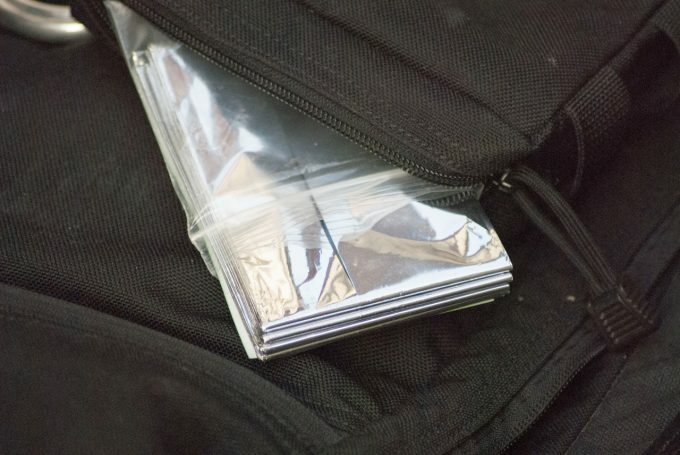 These mylar blankets are all sorts of weatherproof and are exactly what you need for a first-aid or emergency kit in the back of the car or in your camping gear. They don’t take up a lot of space and you can pack multiple blankets at a time. If, however, you want something heavy duty, these aren’t the best choice for you. Related: Any emergency blanket will come in handy when it comes to temperature, but for water drinking you must be covered with a water filter, like LifeStraw Personal Water Filter. Description: Titan is a U.S. veteran-owned company although the blankets are imported. 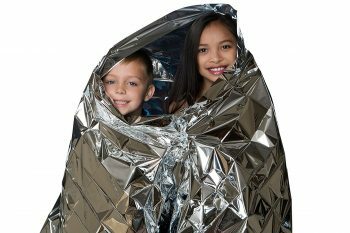 Titan Two-sided Emergency Mylar Blankets are extra-reinforced mylar blankets with one side painted and the other side reflective. These blankets are quite a bit more expensive than other packs of blankets. It is up to the buyer’s discretion whether they think the extra money is worth the slightly thicker material and colorful side. 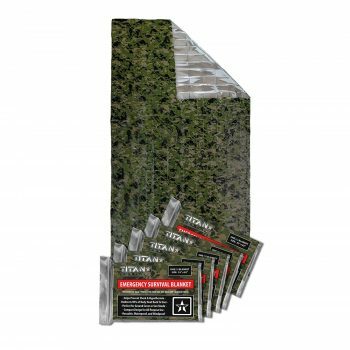 Titan’s survival blankets are another great addition to the backpacker’s pack or to the first-aid kit. Their large size also ensures they’ll wrap around the majority of people, ensuring you can keep wind, rain, sun and anything else off your entire body if needs be. The added thickness make them great for sleeping on in an emergency, and the rip proof material ensures they’ll survive several outings. However, under too much pressure they will give way and won’t survive repeated hard use for long. There are certainly more durable options out there if you plan to use the blanket as a tarp. With one colored side, they are doubly useful in an emergency situation in which you’ve become lost or stranded. Related: Even with a blanket, the cold might kick in. Be ready to start a fire and equip yourself with a pack of UCO Stormproof Match Kit, in a waterproof case. Description: This is unlike the previous options in that it is made for multiple use and as a multi-use addition to any camping pack. The Grabber All Weather Blanket is larger than most and therefore more bulky than the thin, mylar sheets which can be easily shoved into small places. Despite its heavy duty construction, the blanket is fairly affordable in comparison to other multi-use survival blankets out there. Due to the nature of the thicker material, the blanket will be harder to wrap around your body if you do need it in a survival situation. It will get the job done but it’s more akin to wrapping a tarp around your body than a thin blanket. While more heavy duty than the previous blankets, there are tougher, more durable blankets out there. This one is not as thick as other options and as such, it’s not as good as keeping the warmth in. On the whole, it has a wide range of uses and will keep the worst of the cold off you in an emergency. Related: Wrap yourself in this blanket and have a nice warm cup of tea. What kind of cup? Well GSI Outdoors Glacier Stainless Bottle Cup should be the proper choice. Description: The SE Heavy Duty Thermal Reflective Blanket is quieter than most of its competitors. It won’t be an unbearable crinkling experience like most of the smaller, mylar emergency blankets, which is great news for anyone who struggles to sleep with what sounds like a fire all around them! This blanket is also reinforced and coated in a waterproof polyethylene for extra protection. The blanket is more expensive than competitors, but is a good size, has a colorful and reflective side, and has built-in, reinforced grommets in all four corners. The extra cost can be justified since the blanket comes with stakes to use it as a tarp or tent. However, the stakes are made from a flimsy plastic that is unlikely to last very long with use. That being said, this blanket is great for use as a tarp, insulator, emergency signal and sun screen. It does a good job at keeping the warmth in, and can be used in place of a sleeping bag in an emergency. It’s also great at keeping any damp away throughout the night. Related: An emergency blanket is always more useful used together with an emergency sleeping bag, like SE Emergency Sleeping Bag. Description: The Bazaar Camping Insulated Survival Mat is larger than most and it is made of aluminised thermal mat made of PET with light insulation. The blanket is quite expensive for one normal mylar blanket. The gGolden color surface is able to absorbs sunlight heat for cold winter, while the silver color surface is able to reflects sunlight for hot summer. 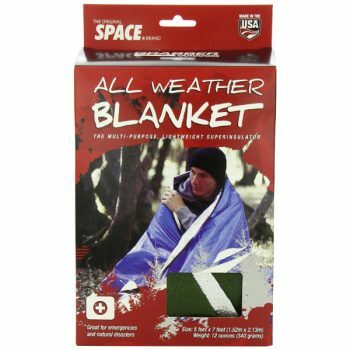 This blanket will absolutely do the trick in keeping you warm or being used as an extra insulator from cold and/or damp floor to a tent or sleeping bag. However, you would be better off buying a pack of these blankets especially since they are made mostly for one-time use. If you like the gold more than silver, go for it, but this blanket is asking a lot for being the same as something you can get more of and for a better price. Related: if you need to use this blanket, you are probably in an emergency situation. For more aid, you should also consider a survival bracelet, such as the GearGo 2PCS PACK Paracord Survival Bracelet. 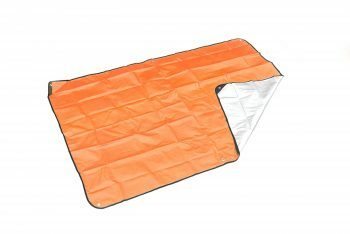 Description: A fantastic addition to any emergency or first-aid kit, the UST Survival Reflect Blanket can be used for heat deflection, body heat insulation, and as a wind or rain barrier. 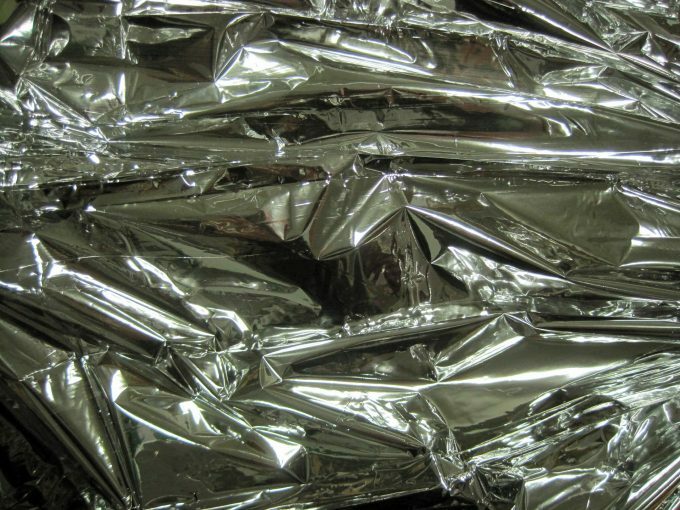 However, this is your average mylar survival blanket – crinkly, loud, and reflective, but it will get the job done when you need it. It can be added to a tent or sleeping bag for added insulation and is weatherproof, waterproof, and compact. The only significant difference between this blanket and other mylar blankets is that it’s even lighter, which is always great for when you can’t bring a lot with you. This is a great option if you just need one for your own first-aid kit. The extremely lightweight material can feel very fragile and the blanket is prone to ripping if you’re not careful. Not everyone needs a pack of multiple blankets, so if you feel like spending a reasonable price just for one then this option is for you. Related: you also need an emergency whistle, in case you get lost in a situation where fatigue takes over. UST Hear-Me Whistle can make you heard by nearby rescuers. Description: The Kangaroo Emergency Thermal Blankets are again your typical mylar blankets. Great for the family or if you don’t require a multi-use survival blanket. They are small and lightweight and fit just about every First Aid Kit. The Kangaroo blanket features your usual crinkly, astronaut blanket that could save your life. These blankets do exactly what they are supposed to and even a little bit more if you use them as a sun reflector or tent insulator. They aren’t heavy duty and are most suitable for one-time use, but the pack of ten could prove handy in this case. These are perfect for any first-aid kit, but as mentioned, if you want something with a longer lifespan than these aren’t for you. Related: While you wrap your kids in this blanket, start up a fire to make the warmth even bigger. You can use Survival Spark Magnesium Fire Starter for this. Now that we’ve seen some of the many uses for these blankets and how well they hold up, it’s time to find the one that is best for you. 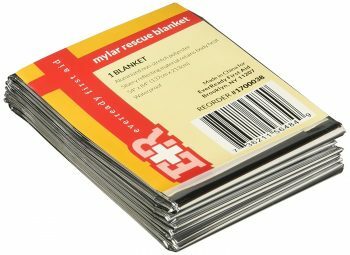 With the reasonable prices on some of these blankets, it probably isn’t a bad idea to have some mylar ones for the family first-aid kits, and a more heavy duty one if you’re a camper or backpacker. We’d love to hear from you too! Do you think we missed some great product that deserves to be on this list? Let us know your thoughts in the comment section below!